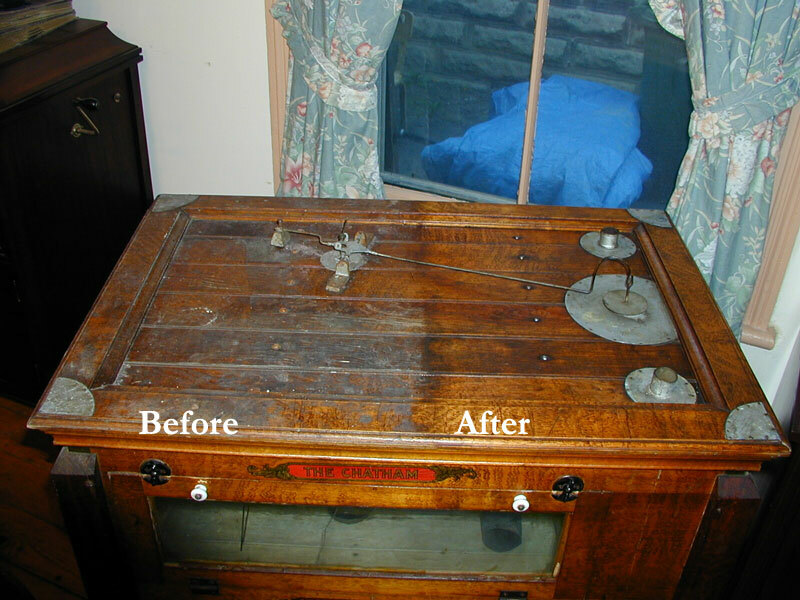 Wood Elixir cleaned and restored the original beauty of this antique incubator with just one application. "My wife, an experienced refinisher, was mightily impressed with the way Wood Elixir transformed the pieces we needed it for. So well pleased, in fact, that I had to visit Southworks again today, where I bought the last package of Elixir on display! Thanks." "I used my first order and I love this stuff. It even restored my kitchen cabinet where it was burned in a grease fire. Goes a long way. Thanks." "This product does amazing things to furniture, I am impressed." "I have become one of your products greatest fans and I certainly will promote this product." "I sell more WOOD ELIXIR than any other single product in my store." "I resisted for two years because I knew that nothing would do what Wood Elixir claimed to do. Now I know it does. Thanks Murray." "I’ve been dealing in antiques for 25 years and tried every product out there. This is it!"